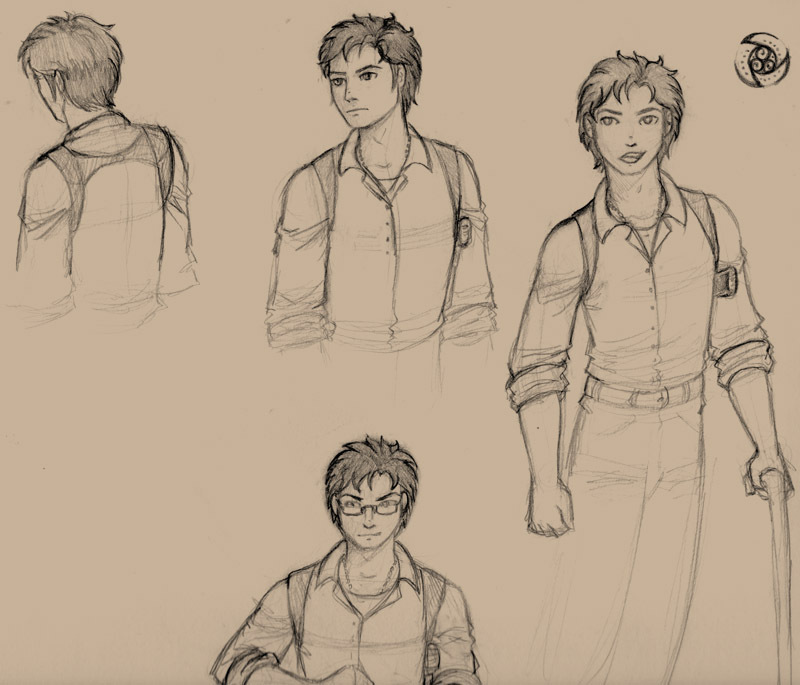 Some spoilery doodles of Az from the upcoming fourth book of the Black Mark series. I’m liking the shoulder holster look for him. And yes, Az does get a new pair of glasses in this book. Anyone want to take bets on how long they’ll last this time? If the first book is a twisted fairytale, the second a Supernatural episode, and the third a WWII movie, then the fourth will have the Indiana Jones theme. After writing the crucible story that is Fire and Foxholes, this next book is a welcome change of pace. Pulpy dieselpunk action-adventure fun. This entry was posted in Uncategorized and tagged black mark by Briarhenge. Bookmark the permalink. Copyright © 2019 Briarhenge All Rights Reserved.